Even a die hard fan of summer like myself gets excited when the air is crisp. 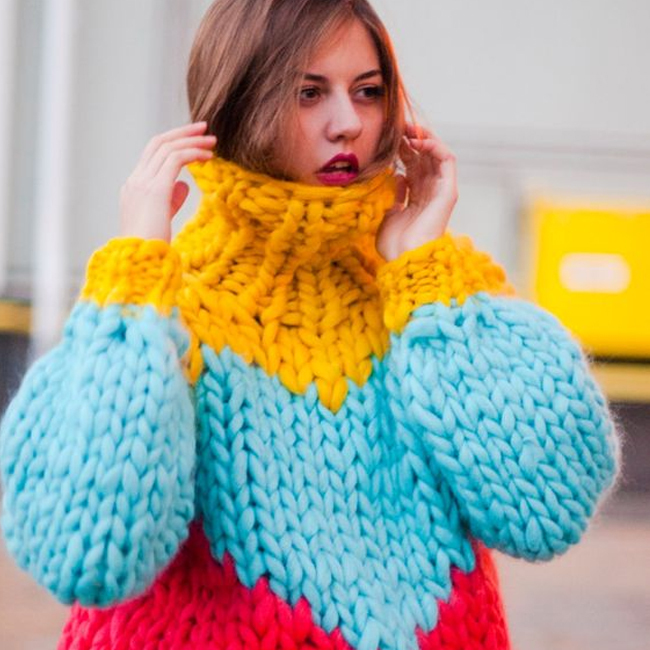 The world feels a bit more romantic, and it’s okay to wear knits on the daily. Today, we’re paying homage to my favorite fall/winter essential…knitwear. 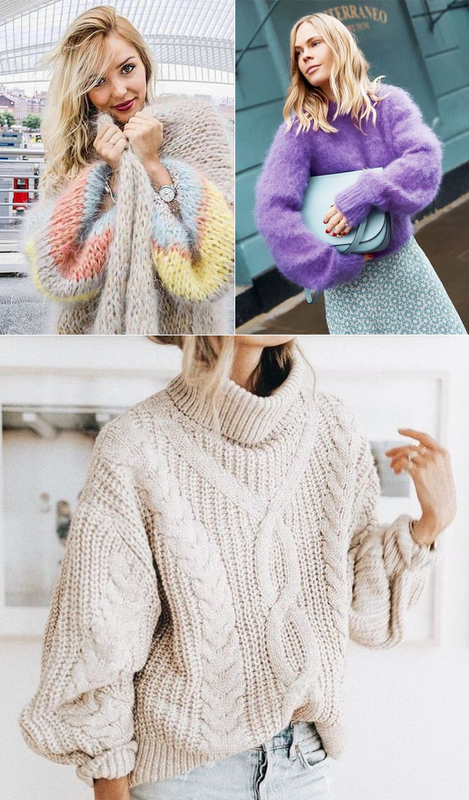 The most underrated hero of every girls closet is a great collection of wearable knits. 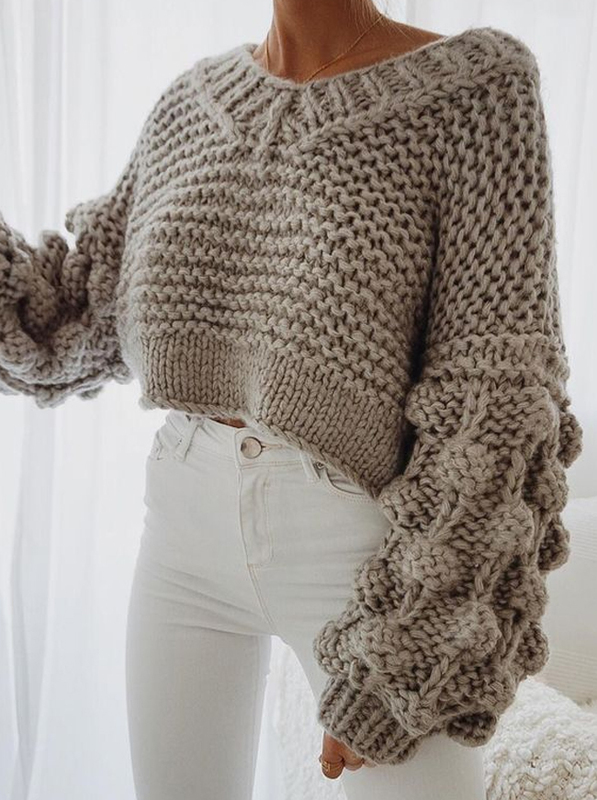 This might sound a bit dramatic, but I’ve learned that always having a few stylish knits on hand can change your life for the better, if not for any other reason than keeping you incredibly cozy. 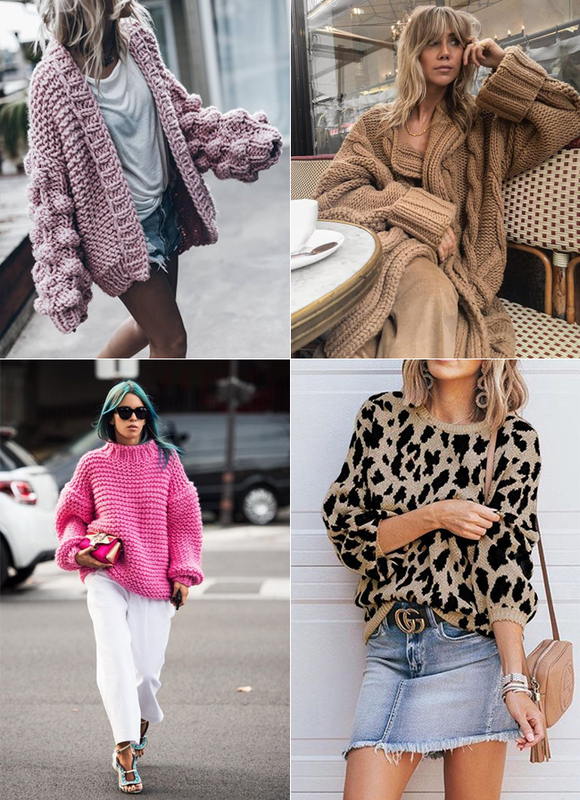 From chunky textures, to cool and colorful designs, to chic, simple and structured, you can’t go wrong with a great knit. This year’s twist is the uber chunky look especially in pastel colors. Here’s few of my absolute current favorites that just might inspire you to cozy up. One last style tip. The total monotone look is a personal favorite.